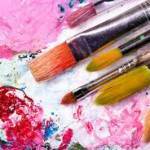 Art classes starting in Ballinode Hall on Thursday 28th March at 7.30pm. In all the classes you will enjoy the fun, relaxed atmosphere with lots of hands-on help, and craic. All newcomers welcome. For all information contact 047 89664 or 087 7758548.